Recording artist George Strait performs as part of his Strait to Vegas engagements at T-Mobile Arena on February 01, 2019 in Las Vegas, Nevada. 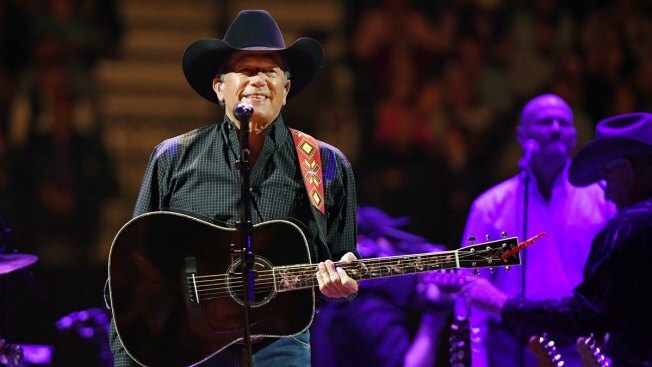 George Strait closed out the Houston Rodeo and set an all-time attendance record at NRG Stadium. Rodeo Houston reports 80,108 fans turned out to see last night's concert featuring Strait, Lyle Lovett and Robert Earl Keen. The concert-only performance Strait's 2013 record of 80,020 fans. Martina McBride and Randy Rogers Band were the special guests at that performance. Sunday's performance was Straits 30th rodeo performance since 1984.